So, I have another poll for y'all - do we like the HFFF posts? Do you, readers, get anything out of them? Sometimes I reveal things that I haven't already plastered all over the internet in some other form (Facebook, Twitter, Instagram) but usually it's just a recap and a collection of those already-posted images. So, what are we really doing here? I ask because, while I love linking up with other bloggers and meeting new people through the HFFF link up on Lauren Elizabeth's blog, I wonder if it's taking away a little something (say, extra food pictures) from this space - "using up" a post that could be better spent telling you something thoughtful, showing you a recipe, talking and thinking about the bigger things in life. Like, I don't know, how to best organize your sock drawer. 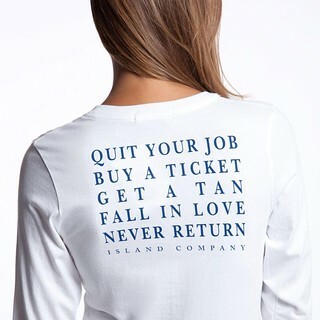 But seriously, wouldn't you rather have Friday posts be something new to try for the weekend? Or maybe a treatise on my life's greatest ambitions. Or, perhaps, another outfit post? Or should these Friday posts just be condensed into a once-monthly roundup on the last Friday of every month? Or, maybe I'll just start doing two posts on Fridays when the mood strikes. I guess this is my little corner of the internet, I do what I want! Joking aside, I really would love to hear what you think, so I'll keep this simple: High Five for Friday posts - keep, toss, or condense? No offense will be taken, or over-analysis applied, to any answer! 1. 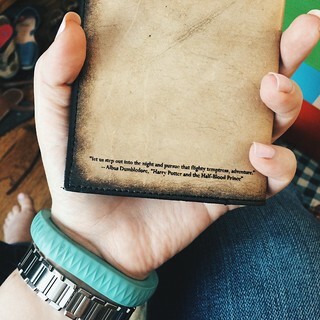 Camille got me this absolutely lovely birthday gift for my new travel-minded-ness: A passport sleeve with a (personally selected by her) Harry Potter quote about adventure...and the Gryffindor crest on the front. My little nerd heart swelled - I just love it! Thank you again C! 2. 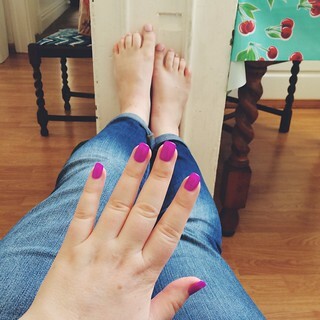 I got my nails did on Saturday. Sometimes you just need fun things in your life. 3. 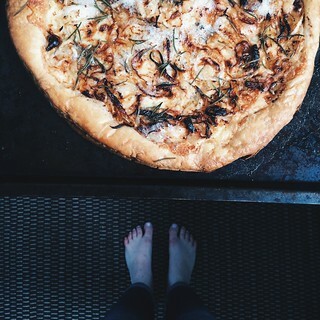 ...and then I promptly went home and made Puff Pastry Pizzas (recipes forthcoming) all afternoon. The nails held up! 4. 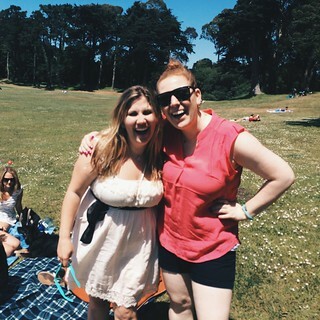 On Sunday, I spent some time in Golden Gate Park for my friend Lisa's birthday celebration. I've known this lady since middle school (but we weren't very close), and now here we are, 16 years later, real friends! She's such a sweet and interesting person, and we were just in different groups in middle school, but now have so much in common. Funny how life works out. 5. Finally, I've been brainstorming some fun giveaways in the next couple of months for the blog to thank everyone who comes to read my ramblings... I truly appreciate it, more than you know! This weekend I'm hopefully meeting up with friends for a few different events (birthday, visiting from out of town, etc) on Saturday, and then spending some time with the fambam on Sunday! Don't forget, it's Father's Day this weekend!